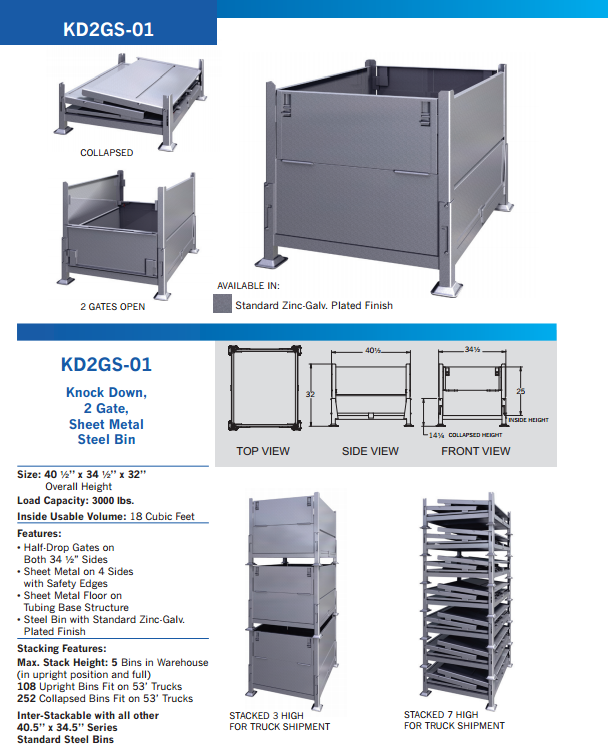 KD2GS-01 Collapsible Sheet Metal Steel Handling Containers in Zinc-Galv finish. Quality engineered for the toughest industrial uses. 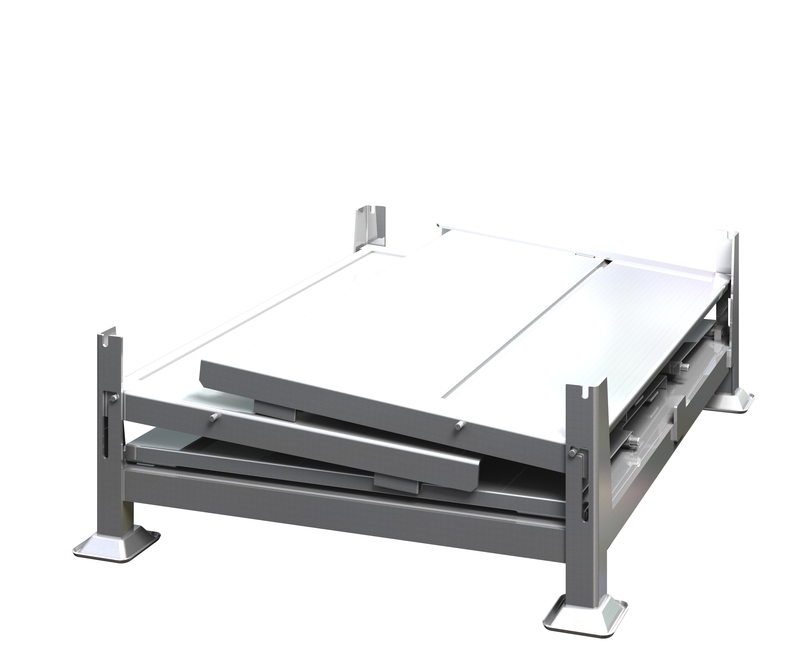 Sets up in seconds, folds flat to save space and shipping cost. Size: 40 1/2" x 34 1/2" x 32" Upright Height and 14-1/4" Collapsed Height. Load Capacity: 3200 lbs. Max. Stack Height 5 Containers in Warehouse when Upright loaded with 3200 lbs each. 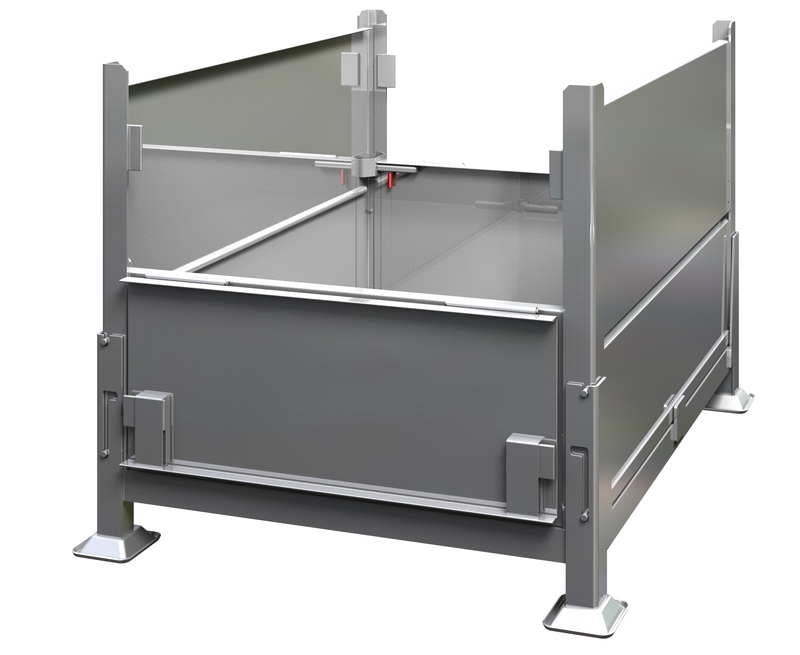 Stack Height 3 High when Upright for Truck Shipments. Stack Height of 7 High when Collapsed for Returnable Shipping. Inside Usable Volume 18 Cubic Feet. Half-Drop Gates on Both of the 34 1/2" Sides. 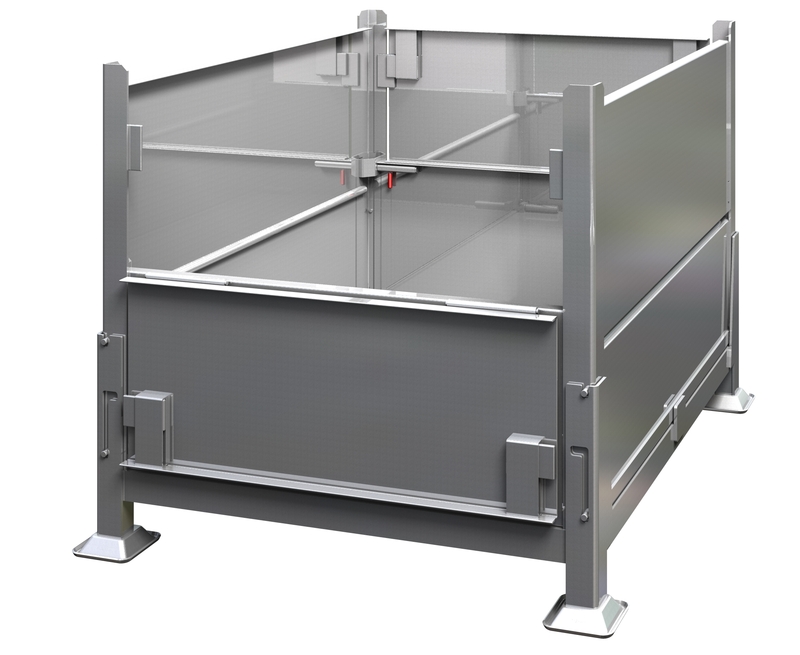 4 Sides are 16ga Sheet Metal with strengthening forms. Floor is Sheet Metal on Tubing Base Structure. 108 Containers Upright fit on Full 53' Truckload. 252 Containers Collapsed fit on Full 53' Truckoad. 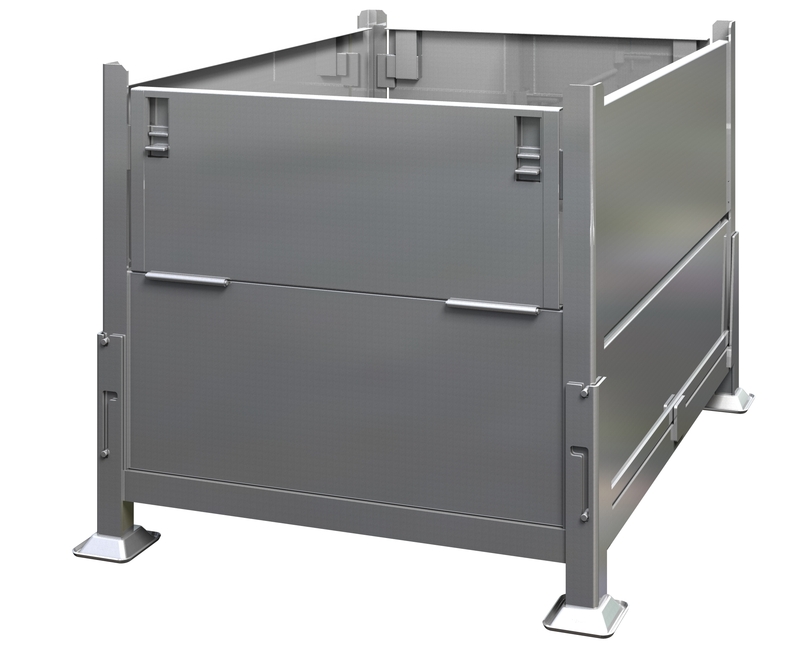 Inter-Stackable with our other "40.5 x 34.5 Steel Containers".